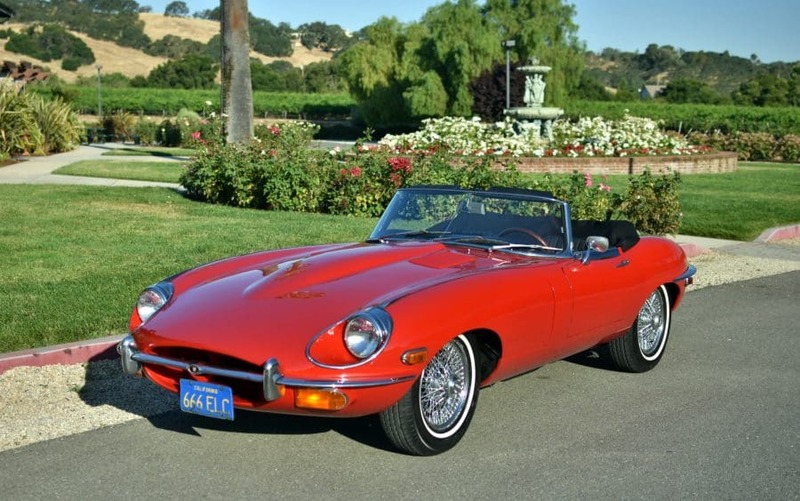 1969 Jaguar E-type Roadster; one-owner since new; low 59,708 documented original miles; Signal Red with black interior; superb garaged California car. Never wrecked or parked outdoors, excellent original metal throughout. Runs and drives beautifully. One quality repaint since new, new Connolly leather seats, original maintenance book showing original owner. This is a high-quality car in all respects, very few E-types are this solid and original. Please study the pictures carefully rather than requesting descriptions. Please complete any inspections or ask any questions prior to bidding or committing to buy the car. Thanks for the interest!.